Outstanding 1-2 lb. 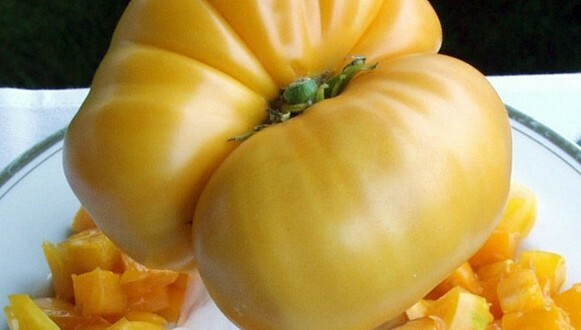 yellow/orange beefsteak tomato named for gardener and seedsman Chuck Wyatt. A dependable and prolific producer of large, meaty, deliciously sweet tomatoes.